Elina Duni (vocals), Colin Vallon (piano), Patrice Moret (double bass), Norbert Pfammatter (drums). 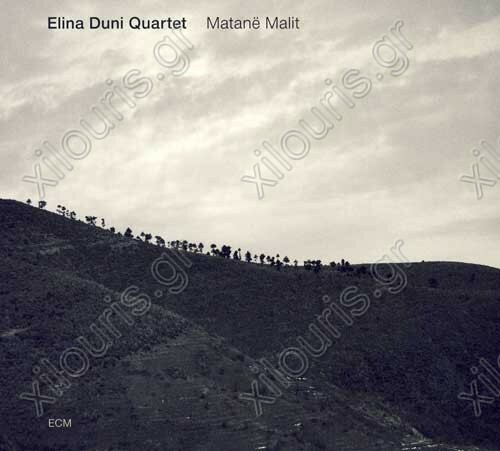 Elina Duni’s ECM debut, is a homage to Albania. A singer looking at her roots from a present-day vantage point as a musician engaged in improvisational processes. Jazz experience informs her exploration of Balkan folk songs with attention to atmosphere, the shape of the sound, the tactility of the structures, the implications of the words, “It’s about serving the song”, she explains, “and about reclaiming and reinventing it.” Duni found her route to Albanian songs after forays into classical music, blues and jazz standards. Digging deeper into the Balkan region’s troubled history, she has uncovered many songs of real beauty and power, older songs from her homeland and from its vast diaspora. “Matane Malit” includes songs of lovers, heroes, workers, shepherds, exiles, songs of resistance. Traditional songs arranged by Elina Duni, and new music expressively moulded in the tradition.